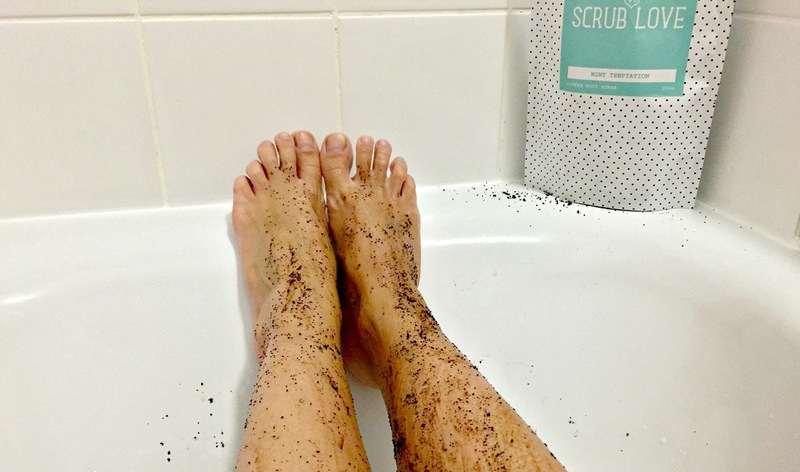 If you haven't heard of coffee scrubs by now then where have you been hiding? they've been mentioned all over the likes of Instagram, blogs, Twitter and so on for quite some time and they're definitely something that I've been intrigued by. Personally I'm not a fan of coffee, but I don't know why I let that put me off for some time from trying one of these scrubs because it's not like i'll be drinking it, although I'm not too keen on the smell either. However, always one for trying out new beauty products and finding new things to help to make my skin look good, whether it be the skin on my face or the rest of my body, when Scrub Love got in touch and asked if I'd like to try one of their scrubs, of course I couldn't resist. 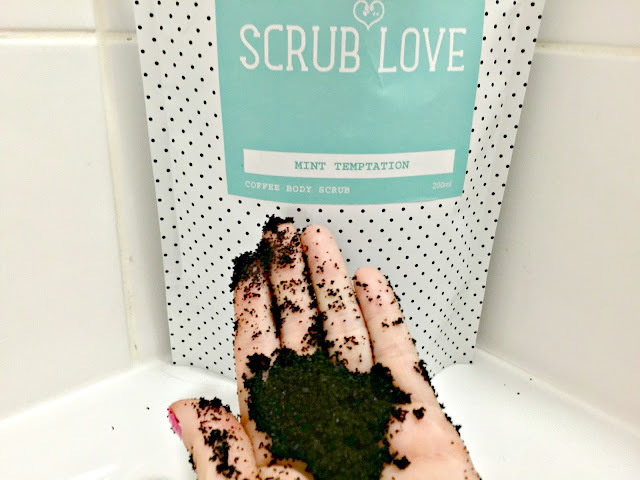 After reading up a little what their particular scrub claims to do, I was definitely looking forward to seeing if it lived up to any of it and of course the added bonus of Mint or Coconut options were certainly a welcome bonus. When you first tear open the packet the smell of mint thankfully over powers the smell of coffee which I wasn't expecting but was a very welcomed surprise, the coffee smell then does linger out but thankfully it wasn't as over powering as I expected, helped by the mint I imagine. I was prepared for this to make a mess, unfortunately I don't have a stand in shower so a bath it was and well, it was a good job I prepared myself because otherwise I would have had a bit of a shock at the state the bath was left in but it was completely worth it because my skin feels so soft & smooth. I normally get out the bath and smother myself in moisturiser but I haven't after using this scrub and don't feel the need to because it already feels like I have. I don't know about the claims to help banish blemishes and target cellulite as I've only used it the once so far but it definitely leaves your skin feel soft, moisturised and with a gorgeous glow like it claims, the only thing I'm not too keen on is that I now have a slight linger of coffee on my skin, but I'll let that slide for the plus points. If you haven't tried a coffee scrub before and are thinking about it, I definitely recommend checking out Scrub Love, I'll definitely be making this a routine treatment when having my weekly pamper session. 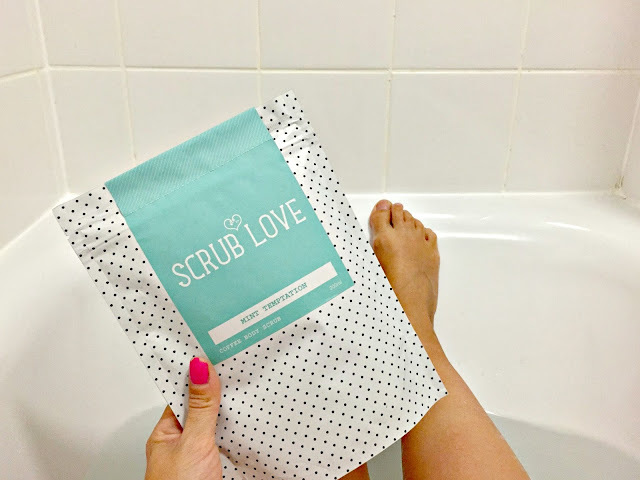 *Scrub Love were kind enough to send me this product to review, of course I have not let this affect my opinion and have, of course kept this review 100% honest. Disney bounding: I'm the boss!